Michael P. Bishop - Mediator & Arbitrator based in Indianapolis, Indiana. Named as an Indiana Super Lawyer in the area of litigation since 2004, Michael Bishop concentrates his practice in the areas of mediation and arbitration, and probate and trust litigation. 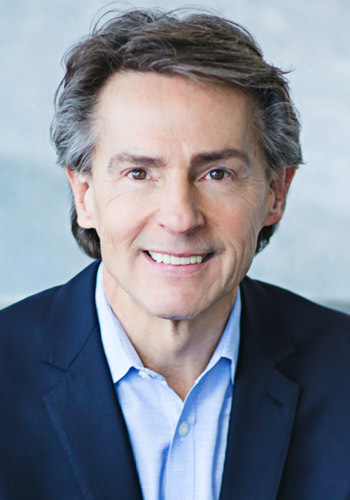 He has been recognized by Best Lawyers in America in Alternate Dispute Resolution and Arbitration and Trust and Estate Litigation since 2006. In 2008 he was selected as a Member of the American Arbitration Association National Roster of Neutrals and serves on the Commercial and Large Complex Case Panels. Michael received his Juris Doctorate from Indiana University Robert H. McKinney School of law in 1980. Following graduation he served as Law Clerk to the Honorable James E. Noland, United States District Court, Southern District of Indiana. Michael is a Fellow of the Indiana State Bar Foundation, a Distinguished Fellow of the Indianapolis Bar Foundatin, a Fellow of the International Academy of Mediators, a Fellow of the National Academy of Distinguisehd Neutrals and a Fellow of the American College of Civil Trial Mediators. Michael has an AV Peer Review rating from Martindale-Hubbell. Mr. Bishop is the author of "Civil Mediation", Indiana Alternative Dispute Resolution Practice Guide, a member of the faculty of the Indiana Trial Advocacy College and is the Primary Trainer for Advanced Training for Civil Trial Mediators in Indiana. Michael is past chair of the Litigation Section of the Indianapolis Bar Association and a founding member of the IBA Settlement Week. He served as Secretary to the Board of Governors for the Indiana State Bar Association, was chair of the ISBA ADR Section, was a District Representative on the ISBA Board of Governors, a member of the Board of Directors for Indiana Continuing Legal Education Forum, and is past President to the Board of Directors for the Indiana Bar Foundation. Michael is also past President of the Sagamore American Inn of Court, where he continues to serve as one of the founding Benchers of the Inn.